Our bespoke garments are all made here at our Bath premises using the finest materials by the finest team of tailors, dressmakers and seamstresses. Lead by Ben and Mehmet the team will first of all discuss what it is that you, the client, wants before re-creating your vision to the highest standard. From tailored suits to extravagant evening wear and bridal gowns our teams’ talents know no limits. You could star in your very own fairy tale with a gown from CT Couture! 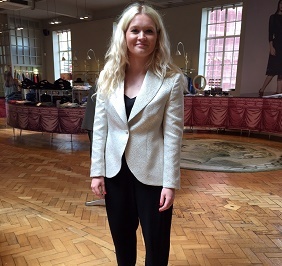 Why Choose City Tailors for bespoke tailoring? What you wear is a reflection of your style and personality and our highly experienced team will produce a garment for you that not only flatters your figure but that also allows you to express yourself. Our luxury bespoke service gives you the freedom to choose your own style and reveal your personality through wearing a unique garment made especially for you by CT Couture. Many of society’s most glamorous and elegant women seek the expertise of dressmakers to fulfil their need for elegant and flattering outfits that transform their vision into reality. Located in the centre of Bath, our highly respected studio specializes in bespoke ladies’ tailoring. 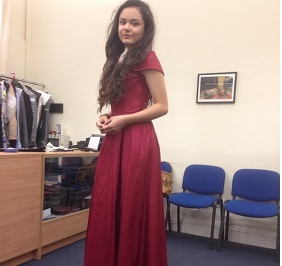 There is nothing quite like have a bespoke made dress. Haven’t you ever had a vision of how you would like a dress to look? Well we can help your vision come to life. Starting with your ideas, pictures or inspiration we will work with you to create the most flattering, jaw dropping dream dress that will be everything you dreamed of. Take many measurements of you. Create a calico/toile mock-up of the garment in cotton or crepe. Produce the garment and carry out a fitting. Carry out further fitting/s until you are 100% satisfied. The talented tailors and dressmakers based here in our Bath studio have created many pieces for our satisfied clients across Bath, Bristol and the South West. One of our many services includes the design and creation of your very own bespoke coat. From traditional worsteds to textured tweeds, for cashmeres and silks and a whole host of other fabrics we can produce you a bespoke coat made exactly to your requirements. City Tailor Couture can create a unique coat that is specifically made to fit you perfectly. 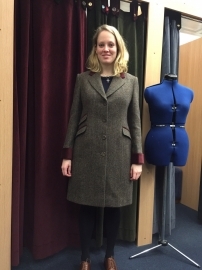 To ensure your bespoke coat is fitted to perfection we will take many individual body measurements, and prepare your own personal couture pattern which will be cut precisely to make sure that all proportions are correct and the garment is cut to flatter your body perfectly. If you want a suit that fits like a dream and is made to the most impeccable quality and taste you need a bespoke suit made by one of our tailors. Our tailors and dressmakers can create the most exquisite and unique pieces and will work to any specifications. They will guide you through the process of creating a unique bespoke suit by helping you choose the right style, fabrics, colours, designs and detailing. Whether you choose a formal work suit or decide on a Chanel inspired design there are many advantages to having your suit tailor made for you, no matter what your size or build. We begin the process by ensuring that your bespoke suit is fitted to perfection. We take many individual body measurements, and prepare your own personal couture pattern which will be cut precisely. This is to ensure that all proportions are correct and the garment is cut to flatter your body perfectly. Your bespoke suit will be made to the highest possible standard using a mixture of couture hand sewing and machine stitching. Do you ever get fed up with trying on trousers that are too long, too short, too tight around the waist, or too big on the hips? A pair of bespoke trousers made specifically for you will mean that you don’t have to compromise on fit. For anything from a classic pair of formal trousers to embellished chinos our tailors have the experience and skill to produce what you want. To make sure of an absolutely perfect fit we will tailor the length of the trousers to compliment your favourite shoes. Like all of our bespoke garments we first of all take measurements before preparing your own personal couture pattern. Your trousers will then made using a mixture of hand sewing and machine stitching to the very highest standard.